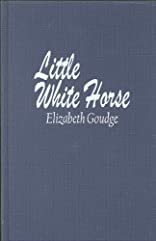 The Little White Horse was written by Elizabeth Goudge. The Little White Horse was published by Lion Hudson. 2/23/2018 Ramsey Jones said: The Musically App gives a lot of enjoyable to the customers. musical.ly Enter your valid Email ID/Phone Number and also Password. 10/17/2017 Cameron Dominic said: The above book is much impressive for me. Infect, The title of this book is also effective. We should read this book to learn more about it. Some list of famous books have EssaysMama which may helpful for the books readers. 7/31/2013 Carole Anne Carr said: The book that inspired me to be a children's author. 10/15/2009 Georgina Elms said: One of my favourites!